10 years after the series’ live-action debut, has the Transformers franchise worn out its welcome? Each of the first three films made at least $319 million in the US, and the second – 2009’s Revenge of the Fallen - cracked the $400 million barrier. 2014’s Age of Extinction showed a clear decline, though, as its $241 million US was a steep drop from the $352 million of 2011’s Dark of the Moon. Still, Age nabbed more than $1 billion worldwide, so that dulled the sting of the relative lackluster domestic take. With 2017’s The Last Knight, though, the decline became impossible to ignore. Not only did that film take in a franchise low $130 million in the US – more than $100 million less than Age - but also its worldwide take dropped precipitously. With $605 million, it made a little more than half of Age’s total gross. Which I can’t call a shame, as Knight offers arguably the worst of the five films. In Age, we saw the ongoing battle between humans and the alien Transformers, one that inventor Cade Yeager (Mark Wahlberg) joined on the side of the robots. 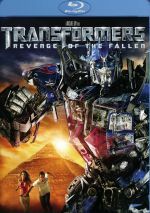 With his daughter away at college, Cade continues to aid the Transformers, and he meets a knight robot who gives Yeager an important relic. This holds the key to ancient Transformers on Earth and can lead the way to a new shift in the war, one that involves Cade with British Earl Sir Edmund Burton (Anthony Hopkins) and Oxford Professor Viviane Wembly (Laura Haddock). Or something like that. Honestly, Knight comes packed with so many plot elements that it becomes difficult to boil down the narrative – and it probably doesn’t matter anyway. Did it ever? 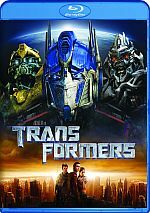 Going all the way back to the first film, the Transformers flicks concerned themselves more with action and snazzy visual effects than character development and strong story elements. Even so, I felt like some of the earlier movies at least sort of kind of partly attempted to tell a real story, whereas Knight starts, continues and ends as a complete mess. The film sticks one disjointed scene next to another with few attempts at coherence. Editing choices don’t help. Known for his hyperactive style, director Michael Bay ensures that the movie progresses with plenty of quick cuts, but that doesn’t become the primary issue. Instead, the editing harms the film because it always feels like footage got lost along the way. Plenty of scenes leave the impression that the editors accidentally cut them sort by a few seconds, so we find a frequent sense of incompleteness, as the movie betrays a jarring lack of cohesion. Back in the 1990s and even into the early 2000s, I tended to defend Bay. Sure, he favored a strong “style over substance” filmmaking ethos, but with silly but exciting flicks like The Rock and Armageddon, I felt he delivered the goods. This faded over time, and as the years pass, I’ve come to realize how little Bay has matured as a filmmaker. It probably doesn’t help that over the last decade, he’s made only one non-Transformers flick: 2013’s Pain and Gain. While that one showed the “Bay Style” in spades, it did so in a consciously self-mocking manner that worked. 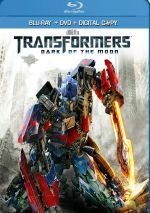 Across the five Transformers films, Bay shows signs of self-parody, but without the wink at himself he offered in Pain. I guess Bay resides in the “if it ain’t broke, don’t fix it” mindset, and given his enormous financial success over his 22-year career, it becomes tough to argue. Still, I think Bay boasts real talent, so I feel disappointed that he shows so little ambition as a filmmaker. He appears more than happy to regurgitate the same styles and themes again and again, and the lack of growth between Bay circa 1998 and Bay circa 2017 seems startling. This becomes especially true because the Bay of Knight just doesn’t seem to care anymore. He leads the film as if on cruise control, like he can’t be bothered to attempt to give the movie anything more than token effort. That makes Knight a mess of a movie, and one almost totally devoid of excitement. Sure, it tosses a slew of theoretically rousing scenes at us, and we find plenty of violent robot-oriented battle on display. Unfortunately, none of it goes anywhere. We get Bay’s usual groan-worthy stabs at low-brow humor along with massive conflicts that never threaten to involve the viewer. All of these factors leave Last Knight as a messy dud of a movie. With bland characters, hyperactive visuals and a lack of logic/cohesion, the film fails to excite or entertain. 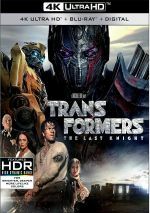 Transformers: The Last Knight appears in an aspect ratio of approximately 1.90:1 on this Blu-ray Disc – most of the time. In an odd cinematic decision, some parts of the movie opted for 2.00:1 or 2.40:1. Why did this occur? I have no idea. Varying aspect ratios make sense for some films, but in this one, the choices seemed virtually random and added nothing to the experience. At least the varying ratios became less of a distraction than they did during Age of Extinction. That one leapt from 2.40:1 to 1.90:1 with abandon, choices that created a nuisance. In the case of Knight, though, the film usually went 1.90:1, and that meant the occasional foray into 2.00:1 wasn’t really noticeable. The sporadic jumps to 2.40:1 became more of a potential pitfall, but they occurred too infrequently to stand out as a real negative. Whatever the ratio, picture quality looked great. Sharpness excelled, as the movie consistently demonstrated stellar delineation and accuracy. No issues with jaggies or shimmering occurred, and I saw no edge haloes or source flaws. Like virtually all Michael Bay films, Knight opted for a heavy teal and orange orientation. As tedious as these choices might be, the colors seemed well-rendered and true to the source. Blacks seemed deep and dense, while shadows boasted terrific smoothness and clarity. From start to finish, this turned into a top-notch visual presentation. As expected, the movie’s Dolby Atmos soundtrack also dazzled. Downconverted to Dolby TrueHD 7.1, the mix boasted near-constant action that fleshed out the speakers in an aggressive manner. Of course, the slew of action/battle sequences fared best, as these delivered material that encompassed the soundscape. Robot fights and military information swarmed the room and turned the track into an exciting package. Audio quality also held up, with effects that sounded full and accurate. Speech remained concise and distinctive, while music seemed rich and warm. Low-end response prospered, with deep, tight bass. The movie brought us a great soundtrack. On a separate disc, we get six featurettes. Merging Mythologies runs 19 minutes, 53 seconds and includes comments from director Michael Bay, producers Ian Bryce and Lorenzo di Bonaventura, executive producer Mark Vahradian, screenwriters Ken Nolan, Matt Holloway and Art Marcum, production designer Jeffrey Beecroft, ILM visual effects supervisor Dave Fogler, property master Guillaume DeLouche, casting director Denise Chamian, co-producer Michael Kase, senior art director Sebastian Schoeder, ILM visual effects executive producer Wayne Billheimer, 2nd unit director/stunt coordinator Mike Gunther, battle coordinator Rob Inch, horse master Daniel Naprous, special effects coordinator Jim Schwalm, director of photography Jonathan Sela, and actors Mark Wahlberg, Liam Garrigan, Laura Haddock, Rob Witcomb, Trent Seven, John Hollingworth, Daniel Adegboyega, and Martin McCreadie. 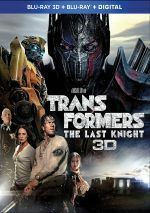 The piece looks at story/character areas, cast, production/costume design, visual effects, action/stunts and the way Knight meshes Transformers and the Arthurian legend. “Merging” zips through a lot of subjects but it does so in an efficient manner, so it becomes a solid little overview. During the eight-minute, 48-second Climbing the Ranks, we hear from di Bonaventura, Wahlberg, Bryce, Bay, lead project officer Lt. Col. Glen Roberts, military co-advisor Kevin Kent, Air Force Secretary Deborah Lee James, Naval Air Forces Public Affairs Officer Cmdr. Jeannie Groeneveld, Naval Public Affairs Officer Lt. Christina Sears, associate producer JJ Hook, USS Carl Vinson Public Affairs Officer Lt. Commander David Bennett, and actors Josh Duhamel and Santiago Cabrera. “Ranks” looks at military aspects of the film and official involvement. It provides a decent take, though it leans to the fluffy side of the street. Next comes The Royal Treatment: Transformers in the UK. It lasts 27 minutes, four seconds and features Haddock, Bryce, Bay, di Bonaventura, Beecroft, Naprous, Duhamel, 1st AD/co-producer KC Hodenfield, 2nd unit director Spiro Razatos, supervising location manager Chris Moore, polo captains Ben Lawrence and Issa Patel, special effects supervisor John D. Frazier, set decorator Richard Roberts, SPFX floor supervisor Terry Flowers, and actors Isabela Moner, Jim Carter, Jerrod Carmichael and Anthony Hopkins. “Treatment” examines aspects of the UK shoot, with an emphasis on stunts/action, sets and locations, and related topics. “Treatment” benefits from a lot of footage from the shoot and becomes another useful show. With Motors and Magic, we get a 14-minute, 47-second program that features Wahlberg, Vahradian, Beecroft, Billheimer, Moner, Kase, Marcum, Carter, Duhamel, DeLouche, Nolan, transportation captain Joey Freitas, digital artist supervisor Kelvin Lau, ILM animation supervisor Rick O’Connor, visual effects supervisor Scott Farrar, set decorator Karen Frick and driver Kyle Woods. “Magic” discusses the movie’s cars and the design/execution of various Transformers. “Magic” provides a fairly engaging piece. Alien Landscape: Cybertron occupies seven minutes, 15 seconds with notes from di Bonaventura, Farrar, Vahradian, Lau, Kase, Beecroft, Fogler, Billheimer, Duhamel, Roberts, Cabrera, lead animator Traci Horie and visual effects art director Thang Le. “Alien” covers aspects of Quintessa’s design/execution as well as choices for Cybertron. We find another collection of good notes. Finally, One More Giant Effin’ Movie takes up six minutes, 45 seconds and offers a compilation of footage from the various sets. It’s not a blooper reel, but it gives us a semi-unvarnished look at the participants – and shows that Bay treats everyone on the set like crap, even his mother. It becomes a moderately fun collection. Five films into the franchise, Transformers: The Last Knight lacks much creativity or excitement. It delivers the usual wild action but it fails to provide a coherent, enjoyable cinematic experience. The Blu-ray brings us excellent picture and audio as well as a decent set of supplements. Maybe someday we’ll get a well-made Transformers movie, but Last Knight isn’t it.